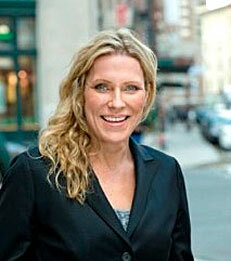 Melissa A. Schilling is the Herzog Family Professor of Management at New York University Stern School of Business. She received her Bachelor of Science in business administration from the University of Colorado at Boulder. She received her Doctor of Philosophy in strategic management from the University of Washington. Professor Schilling’s research focuses on innovation and strategy in high technology industries such as smartphones, video games, pharmaceuticals, biotechnology, electric vehicles, and renewable energies. She is particularly interested in platform dynamics, networks, creativity, and breakthrough innovation. Her textbook, Strategic Management of Technological Innovation (now in its fifth edition), is the number one innovation strategy text in the world. She is also coauthor of Strategic Management: An integrated approach (now in its twelfth edition). Her research in innovation and strategy has earned her awards such as the National Science Foundation's CAREER Award, and the Best Paper in Management Science and Organization Science for 2007 Award. Her research has also appeared in leading academic journals such as Academy of Management Journal, Academy of Management Review, Management Science, Organization Science, Strategic Management Journal, Journal of Economics and Management Strategy, Journal of Alzheimer’s Disease, and Research Policy. She also sits on the editorial review boards of Organization Science, Strategic Organization, Strategy Science, and Academy of Management Discoveries. Professor Schilling teaches courses in technology and innovation management, strategic management, corporate strategy, and strategy for social-mission-based organizations. What’s Your Best Innovation Bet?